Preparing for Emergencies with PhilCare HMO Cards : Healthcare Is Just One Click Away! ERV80 can be purchased for P1,300 only! For solo mothers and freelancers like me who rely on income from our various side jobs - it is imperative to set aside money for our children's healthcare needs. Nowadays, well-known HMO providers only cater to group/corporate accounts which would require us to be employed in an actual office which would mean, less time with our kids. Of course, that would kinda defeat the purpose of us working freelance, right? I have been shopping around for an HMO card for years, well, since I stopped working in the BPO industry. When you are used to just presenting your card whenever you get hospitalized, it was a huge, difficult adjustment for me when I was no longer covered. Not to mention, having a child of my own made me even more dead set on getting an HMO card for the both of us. We are all aware how important it is to be able to afford emergency treatments during unforeseen events; sometimes, that would equate to exorbitant amounts of money. So that's where HMO cards come in handy - to lessen the burden of having to pay for costly hospitalization fees. It's not that I'm wishing for me or my son to get sick, I just know that it pays to be prepared. In my hopes to find an affordable HMO Card provider, I have stumbled upon this company which I have been hearing about but never really took time to research about since I was mostly focused on getting cards from those I have used before. 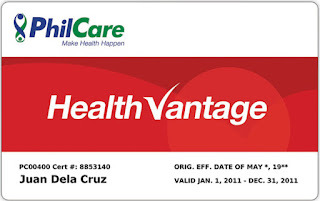 Good thing there is PhilCare - one of the country's first Health Maintenance Organization companies established in 1982. I must say, PhilCare is breaking barriers when it comes to accessibility to healthcare and medical coverage for every Filipino aged 6 months - 64 years old. I say that because I am amazed at how they have revolutionized e-commerce in the country, why? Because with just one click, you will have an HMO Card that will be delivered right at the comfort of your home. No more long lines and long conversations, all you need to know is online! This is like online shopping, only, you are shopping for your family's primary need - healthcare! Depending on the speed of your connection, the whole application process takes just about 1-2 minutes. You don't even need to fill out a long application form. What makes it even simpler is that you don't have to undergo medical examinations and you don't even have to wait for business hours to purchase a card for you and your loved ones. C. Nationwide Delivery - the cards will be delivered by PhilCare's logistics partners LBC and DHL. Cut off time is 11am. Of course, it is a must that you check out all of PhilCare's services before you go ahead and purchase one for yourself or your family. Now that we have established how easy it is to get a card, here's a little peak at their services so you can choose which one suits you best. If you are looking to be covered for emergency and hospitalization, there are 3 types of coverage which you can choose from. You have to take note that these cards are FOR ONE TIME USE ONLY, regardless if you consume the full amount or not. 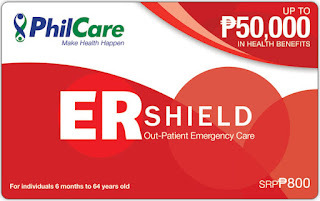 You must also remember to pair it with your PHILHEALTH card or MDR (Members Data Record). Provides coverage of hospital emergency care leading to admission up to the plan benefit limit for treatment of medical emergency cases due to accident or illness except for cases declared as non-coverable. Provides coverage of out-patient hospital emergency room care for treatment of medical emergency cases due to accident or illness except for cases declared as non-coverable. Up to 50,000 Out-patient Hospital Emergency room care. This card can be purchased for P800.00 PESOS which is also an ideal gift to your friends and which you can also provide as an additional benefit for your household help. 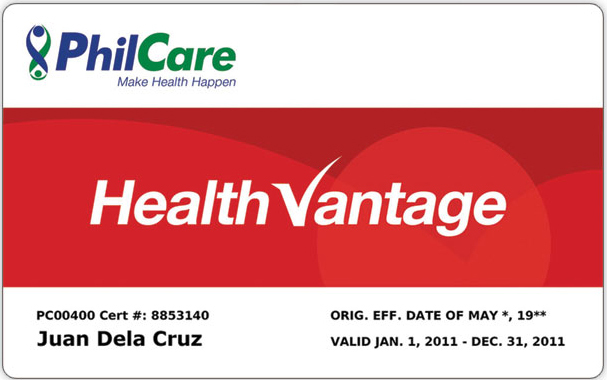 The Health Vantage Elite card secures hospitalization requirements. Any individual 6 months to 64 years of age may be enrolled under this program program. However, entry age is up to 60 years old only. 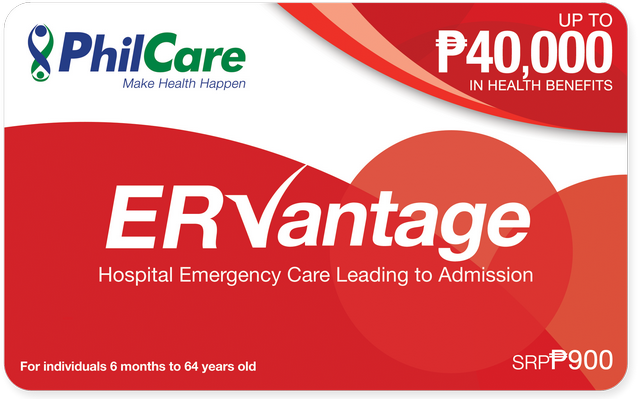 Health Vantage Elite program provides access to Asian Hospital and Medical Center, Cardinal Santos Medical Center, Makati Medical Center, St. Luke’s hospital (Q. C.) and St. Luke’s Hospital (Global) and The Medical City. Unlimited frequency of use for one year or up to consumption of aggregate benefit limit whichever may come first. This card costs P6,5000 and this may be the best card to purchase if you want to have coverage with multiple use. I, personally, would be saving up money so I can purchase this for myself and my little boy. I only wish they have coverage for people aged 65 and up as I want to get one for my Dad too. 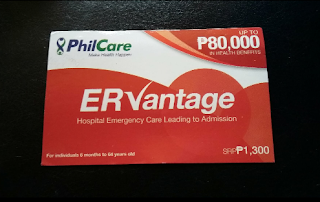 What I like most about PhilCare's new e-commerce concept is that it brings healthcare closer and more affordable to every Filipino. Now, you won't have any excuse not to be prepared in times of unforeseen events. Imagine how less the stress is for you! All you need to do is order online, REGISTER your card through a text message and voila! You are covered. We don't wish for us or any of our family members to be sick but of course, sometimes, anticipation of emergencies is our best defense and what makes us jump ahead and go through extra lengths to protect our loved ones. So if you need a partner in healthcare, log on to PHILCARE to order, purchase, research and sit back and wait for your card to be delivered right at your doorstep!